The deep lines in their faces tell of hard times, like memories carved into the very fabric of their being. The language of their ancestors, the accents of their kinsmen sound out like a recording on a vintage Victrola. Their traditions and culture reflect the cycles of the seasons like the circular rings of the internal tree lines. Their personal marks are everywhere, on the land, in the homes, at the church and in the history laid down for generations to come. They revered the land, their families and their persistent faith. They tamed a wilderness, capturing a land that they dominated for nearly 200 years. LAND…"My grandfather, he had a Indian name. He was a little bit Indian… He liked the Cherokee. Kept about nine chiefs and nine boys here and took food to ‘em up in the mountains after they (the government) run ‘em out. He carried bread and stayed with them lots of times. He didn’t like it-none o’ theses old fellows didn’t like it-when they took th’ Indians’ land." LAND… "I was born right where I live today. My people pioneered this area. They were here since 1818, and then they got their papers and deeds in 1823, I believe, through the land lottery. So we’ve been here ever since. The way the land lottery worked, the best I remember, was you had to go out and stake a territory and live on it so many years before you could apply for a deed. It was practically free. I think some of them paid as little as twenty cents an acre for the land. And they would camp, cut logs, and build a log house to live in until they decided they wanted to move permanently." During the second half of the 20th century their mountain way of life began to fade, disappearing like the wilds of the land itself. Commerce and development consistently nudged them along or rather out. Modern convenience and the pursuit of material comforts made their simple ways seem impractical. They were not disappearing as a people so much as they were just simply being forgotten. The early mountain pioneers forged their way across this land seeking new opportunities and the right to pursue happiness. These brave folks required of themselves personal survival skills and a stout spirit of perseverance in order to create a way of life that would be passed-down from generation to generation. Rather than be destined to stand as an accomplished people of heritage, culture, traditions and craftsmanship, the lives and ways of these determined individuals were on the verge of becoming another lost society, a footnote in history. Sometimes it is often that an unheard cry gets the most attention, not by the masses but an individual or a lone soul. In 1966, a newly arrived English teacher at the Rabun Gap-Nacoochee School, in the northern mountains of Rabun County, Georgia, saw the means of conquering one growing community concern with the need to fulfill a personal academic challenge at the high school. To make his English class more interesting and practical, several attempts to motivate the students over the next few months resulted in no particular success. Finally, it was the class that decided what would interest them the most, many ideas were proposed, and the students chose to publish a local magazine. The contents of the first magazine would focus on mountain culture and student works. Poems, short stories and articles gathered from information they created and collected from neighbors and family about life in early Southern Appalachia. The purpose of the program was to help students exercise their skills in language and literature while understanding their own personal ties with the community, using their own heritage to motivate interest. It was the students themselves that raised the funds within the community to produce the first magazine. The students brainstormed for a name, from their list the name Foxfire Magazine became their choice. Foxfire…is a bioluminescent lichen (fungus,) that grows on decaying wood from fallen trees left in their natural state to decompose in the forest. The combination of decaying wood and fungus feeding on the wood causes the effect of an eerie blue-green phosphorescent glow or light that emits from the wood appearing to be burning from within. This eerie light, seen only at night is a common occurrence in the dense forest if you know where to look. It is most noticeable when the night is moonless or heavily overcast, the darker the better. Foxfire is found along creek banks where it is damp, most commonly found in tree trunks. Foxfire Magazine is a bi-yearly publication with Spring/Summer - Fall/Winter editions; it has grown to be highly regarded for its meticulous preservation of the language and culture of the people of Southern Appalachia. Achieving recognition for their hard work established pride in these young publishers, especially during the mid 1960’s when the “hillbilly" theme was so unflattering. Understanding their native roots taught them the necessity, these early mountain folks had for their means of survival and faith concerning the uncertainty of their daily lives. The magazine became so popular that the public requested back editions yet the numbers of copies were not available for the demand. 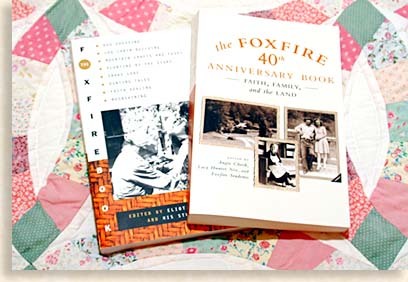 This growing popularity and demand for the materials led to the very first Foxfire Book being published in 1972. Containing information and stories about Southern Appalachian life, which was gathered from the pre-existing Foxfire Magazine interviews. Like the magazine, the students under supervision and guidance also published the Foxfire Book. 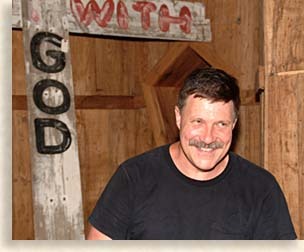 The Foxfire Book, Volume 1, became a best seller and has led to an additional 12 volumes published since 1972, with the most recent book being the Foxfire 40th Anniversary Book entitled, “Faith, Family and the Land." Along with the Foxfire Magazines and the Foxfire Books, students at Rabun County High School, have also published 9-additional books concerning the people of the Southern Appalachia and the Foxfire News. Approximately 9-million copies of the Foxfire Book anthology series has been sold and with that success, more resources began to come in through donations, grants and local artifacts. It seemed as though everywhere the students went to interview and chronicle the wisdoms of an “old-timer," they often brought back some artifact essential to everyday life. Seeing the popularity of the student’s achievements, people from all over the Southern Appalachian Mountains contributed. 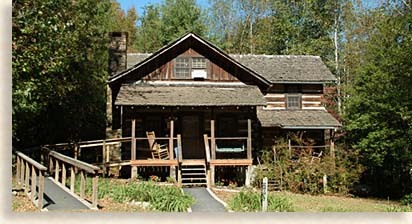 There were so many artifacts collected that in 1974 the Foxfire Board of Directors agreed that the students could purchase land along the slopes of Rabun County’s Black Rock Mountain, just below the entrance to Black Rock Mountain State Park in Mountain City, Georgia, in order to store the newly acquired items. Easy to reach off highway US 441, the artifacts on the property along with the need to relocate historical log cabins and other out buildings made the purchase an ideal location. This gathering of Appalachian heritage led to the founding of the Foxfire Museum and Heritage Center with more than 20-log cabin structures housing a multitude of historic artifacts. The majority of the structures are authentic with a few replicas painstakingly recreated. 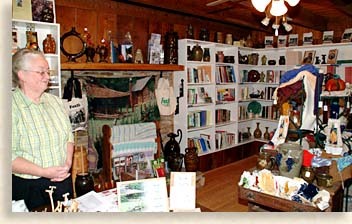 A gift shop at the gatehouse offers books; pottery and other handmade mountain crafts along with both guided and self guided personal tours. A guided tour requires reservation in advance. Funds generated by the Foxfire Fund, Inc have provided the means by which these hardworking, dedicated students have by example proven that focus and self-motivation achieves goals with lasting results. Over 3/4 of a million dollars have went towards scholarship programs for students involved. From donations both large and small to fund-raisers, events and festivals as well as income from books and magazines, the program has excelled in both the hearts and lives of the community and the students alike. The program, currently located at the Rabun County High School was re-located from the Rabun Gap-Nacoochee School to the larger one facility county high school in the 1977-78 school year. These students have accomplished so much along with their program teachers and leaders that a person would have to take up, a personal study quest to witness the many fine achievements these heart felt young citizens of the mountains have materialized over the past 40+-years. Out of this great Foxfire student drive towards group success, an unexpected academic bi-product emerged from the program, “The Foxfire Approach to Teaching and Learning." The notoriety of the program was surging across the nation with other schools attempting to duplicate the process with little to no success. It was discovered by the instructors of the Foxfire program that three essential driving factors created the success of the program. As stated by Kaye Carver Collins, a former magazine staff student, “ It seemed that people (instructors) couldn’t understand the importance of the difference between the magazine, which was the choice we made, and the fact that we made a decision." To further explain the Foxfire Approach to Teaching and Learning I will quote from materials provided by the Foxfire learning program. “In-house research and later grant-funded exploration sought to clarify the reason for Foxfire’s success and give teachers the help they were looking for. 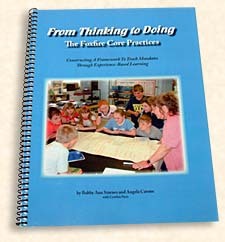 The original classroom model’s three driving factors - student decisions directing the process; using the local community as a resource for learning; and providing an audience beyond the classroom for the students’ work – were grown and refined over time by practicing educators and Foxfire staff, resulting in the eleven Core Practices that are the foundation of the Foxfire Approach to Teaching and Learning. The Approach is neither a “method" nor a recipe for success. Each practitioner must be willing to rethink his or her own teaching methods and adapt the Approach to their particular subject areas, students, and curriculum requirements. An introductory program, A Taste of Foxfire, is a short class offered to familiarize teachers and administration with the Approach and determine its appropriateness for their classrooms or schools, The Foxfire Course for Teachers is an in-depth examination of each of the Core Practices and their applications. During the Course, teachers will identify their existing perceptions of the relationships between teachers, learners, and the curriculum. Those perceptions will be challenged, and the teachers will begin to redefine their own teaching philosophies to include the Core Practices and merge them back into their own teaching practices." What started out as a plan to get rural mountain, mid 20th century high school students to take more care and interest in their English class burst into wave of pride in their academic achievement. 1. The historical documentation of a vanishing people continues in its efforts to archive their life stories. 2. A successful instructional program directed towards educators looking to motivate students in self-awareness and the materialization of a product has been developed. 3. An outdoor living museum dedicated to the heritage and preservation of a life style that is essential to our well being as an accumulative race of survivors. New students enroll in the program each year, many following their parents or other family members who were once members of the magazine and book staff. Senior students graduate and move on towards personal interest, enriched from their experience with their heritage. Many graduates continue to support the program in as many diverse ways as they can, whether living and working in the community or beyond, they are attach to family roots too precious to let go. The Foxfire Magazines and the Foxfire Books represented to the outer masses, pearls of wisdom and simple common sense facts that everyone one should know. It wasn’t just in their customs and crafts that left us enriched; it was their personal grasp of the simple means of life, or just good horse sense that provided stability for these mountain folks. This world seems to be at odds with denouncing and forgetting the past, believing a better life lies in the future. Left behind is something solid we should cherish, the future is only speculative hopes for tomorrow. Today’s world seems to want to throw the baby out with the bathwater leaving us nothing more than anticipation, waiting for the prompting of societies next move towards pseudo convenience. Today we have become dependent not on ourselves as much as others to provide our necessities creating their ideas of how we should live. With so many facets surrounding the success of the Foxfire program one outstanding achievement brings us not only in touch with the past, it allows us to walk through the daily lives of these Appalachian ancestors…The Foxfire Museum and Heritage Center. 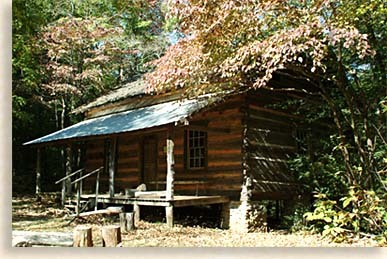 Ideally located on 110-acres just below Black Rock Mountain State Park in Rabun County, Georgia is the Foxfire Museum and Heritage Center. 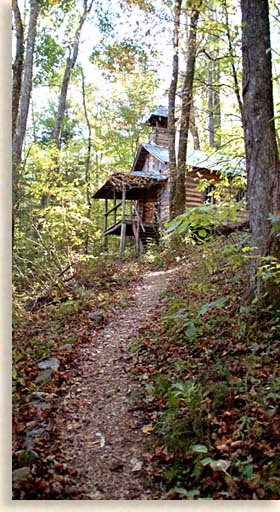 Here, settled along the mid slopes of Black Rock Mountain, located off the popular travel route of US 441, is the inspired property, purchased by the Foxfire students in 1974. A tremendous amount of work, development, planning and research have went into this humble property, making Foxfire Museum and Heritage Center a jewel of the Appalachian way of life. Of the 20-plus cabin style structures on the property, more than half have been relocated to the site with other structures being painstaking built to represent an old mountain community settlement. The reconstructed structures were created when donation or purchase of such structures were not available, too fragile to move or too cherished for some families to let go. You can experience this journey into the Appalachian past personally or by previously reserved group tours. It’s peaceful to stroll the grounds personally, guided by a trusty booklet. On a low volume guest day, you can sense the isolation these mountain folks lived. You can witness their primitive lifestyle and what appeared to be crude tools by today standards. Yet it is within the bulk of what remains of the past, that fills your head with questions as to “what if, what’s this and what for." It leaves you with some questions the booklet just can't fulfill. A dedicated student of Appalachian life or one of the many folks who grew up rurally generations ago would have a good grasp on this primitive lifestyle. I assure you that any questions you have has an answer on the bookshelves at the Gate House gift shop. Mrs. Highlander and I have enjoyed each and every visit to the museum, most of our personal tours of the property were just the two of us, yet it was when we took the guided tour that our minds were opened and our sight was clear as an autumn sky. Curator and Group Tour Guide, Robert Murray turned our curiosity into a harvest of facts, adventure and the most enjoyable day of all. It is Robert’s cache of stored wisdom, craft works and talents that the Highlander is going to rely on to guide you through the Foxfire Museum and Heritage Center. As we begin our tour at the Gatehouse. 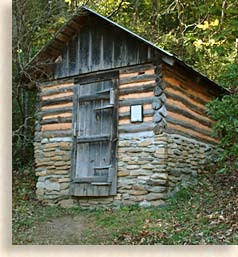 The Gate House is a reconstruction of more modern cabin design. The structure is built of logs from older structures plus an old abandoned railroad trestle from Burnsville, North Carolina. A small admission fee paid at the Gate House admits visitors to the historic outdoor living museum and gives them a self-guided tour pamphlet. We do feel that you should be tempted by all the crafts and literature located in the gift shop, although we recommended that you save your browsing and purchasing time until after your exploration of the museum’s pioneer settlement. You will then understand how significant the merchandise is and how it was made or came about after your tour. Besides, it is easier to carry your purchase to your vehicle on the way out than lug them around the settlement. As always, Mrs. Highlander and I were greeted by one of the Foxfire staff, which are always friendly, helpful and informative. These folks are usually local folks of Rabun County both having knowledge of the museum along with their own personal anecdotes about their life experiences in the mountains. Here at the Gate House, we met Ann Moore, president of Foxfire Fund, Inc. Ann is a bubbly friendly country gal with more irons in the fire than you would want to count. Her southern hospitality made us always feel at home. Ann has been with the organization for more than thirty years. She began her career at Foxfire in the figurative “root cellar." Keeping her sails high and focusing on the horizon Ann has acquired so much knowledge concerning the operations at Foxfire that the role of presidency at Foxfire Fund, Inc., was bestowed upon her without her seeking it. She knew the job; she was doing the job so it was only right that the board firmly insisted she attach to the title of president as well. When visiting Foxfire you might catch a phantom glimpse of Ann, like a mother hen scurrying around checking on the chicks, rushing back to her nest to oversee day-to-day operations along with projections for the future of Foxfire. Ann is a tender hearted and caring individual dedicated to the purpose and goals of the community’s beloved Foxfire Museum and Heritage Center. As you venture beyond the gatehouse to begin your tour, keep in mind it was the students of Rabun County’s middle and high school that put this museum together, making this special attraction available to the public. Gathering artifacts, relocating and refurbishing old cabins, creating new replicas of old needed structures, all the while assisted and helped by their teachers, leaders and local folks in the community who came to share their skills and personal heritage. It has impressed me most that it was the children of the mountains who did all this, preserving and protecting their family’s legacy as well as the Appalachian Culture for generations to come. We met Robert Murray, curator and proficient tour guide to Foxfire Museum and Heritage Center at the trail-head outback of the Gate House. Mild mannered and friendly, Robert greets visitors with a big smile and a sincere welcome, but do not let his country boy charm fool you. He may seem to dig his toe in the dirt at times and ‘awe shuck you a little," but when it comes to knowledge of Appalachian history and culture, accompanied by a worldly wit, Robert Murray is the cat that swallowed the canary. If you’re looking for a conversationalist to liven up your dinner party Robert the man for you. From what Mrs. Highlander and I experienced, his knowledge of mountain life and general current events had little boundary. He has a wit like Will Rogers as well as a touch of P. T. Barnum, a showman and nostalgic oracle of ancient and contemporary wisdoms. Robert has been at the post for over 20-years as all around caretaker and live performance guide to the past. After hanging out with Robert for half a day, we realized that as informative as Robert is, he should be considered for an exhibit rather than part-time tour guide. Our tour begins at the edge of the forest; a trail through a thick growth of various hardwood trees divides the Gate House from the museum settlement. If you’re mobility challenged, the gravel road in front of the Gate House will take you up the short distance to the settlement. The road will definitely get you there, yet the trail winding through the woodlands will “take you there," or should I say “take you back to a lost time." Along the trail, Robert guides us through a maze of trees and shrubs pointing out the existence and purpose of each tree and plant. 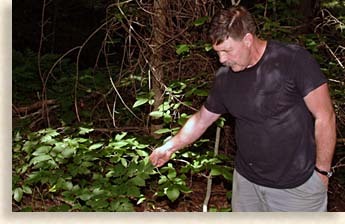 Robert selected different plants and revealed to us the secrets and mysteries of their natural properties found throughout this woodland foliage. He told us of the health benefits Native Americans had discovered while existing in this natural world of medicine. It was fascinating to listen to how Native Americans saw the physical body of the plant and how it related to the physical body of a human often offering a cure for what ailed them. Native Americans have always shared their herbal knowledge with the people arriving from the old world. The old world people were also equipped with their own knowledge of natural cures, blending the two culture’s wisdom set stage to a pretty interesting natural outdoor medicine cabinet. As Robert guided our tour, he provide us with refreshment and toiletries, we ate the forest, brushed our teeth with a twig which actually had a pleasant taste and he made us a cup out of a folded leaf secured by the stem of that plant and fed us wonderfully sweet blackberries. All the generosity came directly from a natural forest bountifully growing, providing fresh materials for each guided tour. Emerging from the forest, we entered the settlement. Hidden in the forest, away from the sounds and pressure of the outer world, a land lost in time. What we will see here most of us have never seen and we'll learn things we never knew. Homes, crafts, tools and a language opened up a new dimension where something old is being taught new for the very first time. The structures are old, antiquated for our time, constructed for meager pioneer existence, yet inside these hallowed walls is state of the art technology for its time. They didn’t have electric vacuums but they had broom-making machines. Ready made clothes and fabrics were costly yet they had the skills to spin cotton on spinning wheels and had looms for weaving. Imported wines were not available yet the family recipe kept the stills cooking homemade brew. As resilient and self-providing as they were, there was one precious thing they could not reproduce or do without, their cherished Bibles. To the Appalachian, the "Good Book" separated man from beast, good from evil and joined hope with the unforeseen, offering peace and rest from a life often to hard to bear. Hardships were a part of everyday life, good times came when there was something to celebrate. Family meant loyalty and good neighbors were personal friends you could count on. Robert explained that much of the language spoken by the Southern Appalachian folks were not derived from country slang or ignorance, but cultural terms and saying used by their Scot-Irish kinfolk and other north European ancestors. Many unusual terms have made their way into the mainstream that are regularly used throughout the United States daily, having their origins in rural America. Sleep tight, don’t let the bed bugs bite…Dead as a doornail…Keep your nose to the grindstone…The whole nine yards…To get a Wild Hair over something and what it is to Scotch something, personally I don’t know what that means. Three of these saying I plan on covering the rest and more you’ll need to hear directly from Robert, he tells it so much better. Out of my own ignorance I once thought, “the whole nine yards," was a football term for failure to complete a first down, the term refers to a full nine yards of tartan fabric the Scottish Highlanders wrapped around their bodies. “Keep your nose to the grindstone," I always thought that meant keep focused on your work by metaphorically keeping your nose in your own business, once again I was wrong. The giant millstone wheel creates a lot of pressure and heat, a miller would have someone watching the grinding stone, feeling the stone for heat, smelling it closely for a burning or cooking of meal under the stone. This would not only ruin the product, the heat mixed with grain is very volatile and could cause a serious explosion. This led to the motivation behind “Keep your nose to the grindstone," as Robert so eloquently put it. “Sleep tight don’t let the bed bugs bite," I thought this was a childhood saying when tucking in children tightly between the covers while you joke about mysterious night vermin getting into bed with them. Robert explained that the term actually refers to the rope strapping under the bed frame that had to be tighten with a wooden T-handle to remove the sag. Also mattresses or a they called them “ticks" were stuffed with whatever soft natural outdoor material was available, the stuffing had to be change often due to bug infestation in old stuffing, a good reminder to keep the tick fresh. ROPE, STRAW, AND FEATHERS ARE TO SLEEP ON…"They made straw beds back then out a’ rye straw. Then you raised ducks and picked ‘em and made feather beds and pillers if y’had any. If you got hold’a enough sheeting or somethin’, you sewed up your tick, and then when y’thrashed rye, you hauled it or went to th’ stacks and filed your ticks up and carried them back-or whatever you wanted to do. A tick, well, you know it’s just like a mattress only you filled it with straw. I never seen a mattress ‘till I’s grown." As Robert begins this next avenue of our tour he will be guiding us through historic times. Robert excels in his open-air classroom filling us with more information than our modern brains could hold, making the experience all the while both fun and educational. Though Robert is an endless train of knowledge, this Highlander feature will only cover some of the highlights of the tour leaving the true wealth of the tour for your visit to Foxfire Museum and Heritage Center, something you will want to experience first hand. As our tour moves along don’t be surprised if you hear voices of wisdoms from the past, ghostly spirits of the “old-timers" who once dwelled in these well-preserved cabins. The Savannah House is the first cabin we come to, built in the 1820’s by Irish immigrants, it is the oldest authentic structure at the Foxfire Museum. Four generations of the Richard and Rachael Wilson family lived here, each having 10 children of their own, the cabin measures 21 feet by 21 feet with and upper loft for the older children. The rope bed, dining table and chairs are authentic provided from the home of Aunt Arie, one of the Foxfire students’ dearly beloved contacts, she was so very helpful in the early productions of the Foxfire publications. Though she has passed away her memory is preserved, living on through the written words published by the Foxfire students entitled, “Aunt Arie: A Foxfire Portrait." FAMILY…"Children and their parents were together more then than they are now. There weren’t many places to go and not much way to go. I mean, it took a long time. Most of the people had a horse or wagons. They could go, but they didn’t go as much. “Whole families met at each other’s homes. And they sang a lot. Very few had musical instruments. Some had banjos and violins and guitars, but not like they do now. They took the whole family." The Museum Cabin is the second cabin on our tour. Built of logs salvaged from deteriorating structures the cabin represents several changing traits of the post-1850’s era. 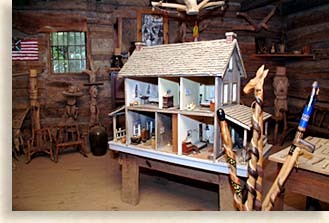 The cabin is an example of a more spacious home and cost, the cabin houses various wood working tools, broom making equipment and a scale model of moonshine still. The cabin is open for guided tours only; personally guided tours may peek through the windows at the artifacts. Though the moonshine still resides in the cabin today, these ancient artifacts of distillery were well hidden from those nosey government revenuers. For some of these crafty old mountaineers, hiding stills became a creative art form in stealth capitalism, yet those pesky government revenuers had their ways of smoking them out. The more tricks the moonshiners came up with, the more debunking the law had to do. The legend has grown that all one has to do to find a still is follow a likely looking branch up into a cove and then poke around until uncovering something suspicious. Moonshiners have countered by locating many stills in so-called “dry hollows. They find a cove that has no stream and pipe in the water from a higher “wet" cove." Hog Scalding Pot, everyone didn’t have one but if you did you were the envy of the community. 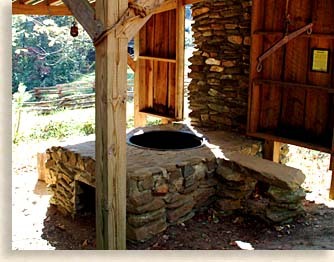 This particular scalder is in a mostly open walled shed; the scalder is constructed of rock-work and a large iron pot. The pot wasn’t used to cook the hog; it was used to loosen the hog’s hair so it could be removed before butchering. SLAUGTHERING HOGS…“If you kill a hog on th’ new of th’ moon, slice it and put it in the pan, it’ll just blow you ‘til you can’t fry th’ grease out of it hardly. You got t’kill it on th’ right time of th’ moon. You don’t never want to kill it on th’ new moon." “We’d kill hogs on th’ full moon, or just about th’ full moon. While th’ moon was shrinkin’, th’ meat’d shrink. There’d be a lot’a lard an’ grease if it’uz on th’shrinkin of th’moon. If it’uz on th’ new moon, you wouldn’t make much lard, and th’ meat’d swell up when y’cooked it ‘stead’a shrink." When the boys weren’t scalding hogs, the lady of the cabin would use the sizable iron pot for warming laundry water, making lye soap, rendering lard, making cracklins or putting on a big pot of soup for large gatherings. SOAP MAKING… “You put two pints and a’half a’water and one can lye-Red Devil Lye-in your pot. You got to stir till this dissolves good; then you got t’add th’ grease to it. Then after you add th’ grease, you got t’stir it for twenty minutes. “Lye’s dissolved now. Grease, this is th’ grease. You just have water and grease and th’ lye. This is breakfast bacon grease. You can have anything. I had a man th’ other day offered to give me mutton tallow, You know-to make it out of. I think I’ll take him up. I’ve always used hog grease myself-five or six pounds for this here." Our next stop is the Wagon Shed. Located in this shed are some rather outstanding artifacts. The cabin (more like a barn now) measuring 16 feet by 18 feet was originally used as a home for Mrs. Ida Gibson. Today the cabin is used as a barn, or shed, containing two prized possessions, the Zuraw Wagon and the Judd Nelson Wagon. The Zuraw Wagon, documented as being the only surviving wagon known to have traveled the Trail of Tears during the exodus of the Cherokee Nation of Northern Georgia, North Carolina and eastern Tennessee in the late 1830’s. Robert tells us the Zuraw Wagon traveled even farther west to the northern Rocky Mountain States before returning. The wagon is of Pennsylvania Dutch and constructed in the late 1700’s. The wagon was used to move Green B. Daves to Georgia in the late 1830’s, passed down four generation and was donated to Foxfire in 1975. The Judd Nelson Wagon was commission in 1983 by the students of Foxfire for an article they published in Foxfire 9, the book. The students chose Judd Nelson who moved to Sugar Valley in 1913 at the age of two. Judd was considered a master blacksmith who was gifted with the craftsmanship to build a wagon from end to end. The project took three full months becoming the single largest article ever published by Foxfire. Blacksmith Shop; built from the remains of an old barn the blacksmith shop was often the social center of the work community. Many of the local folks gathered there on rainy days while others frequented the shop waiting for repairs. Like a Greek Forum, news was exchanged and politics argued while the smithy toiled away over hot coals, bellowing smoke and the piercing sounds of an anvil striking, while shaping hot metal into working tools. The blacksmith was probably the most vital part of a farm community. The Blacksmith Shop contains tools common to the post 1850’s, all donated by the family of Will Zoellner. Blacksmith shop is operational only for special events. Hanging on to every word from Robert we moved from the Blacksmith Shop towards the Moore House. In the yard between the two structures Robert introduces us to a rather loud friend of his, a bullwhip and begins the break the sound barrier with one simple stretch of the arm. Popular in the days of drovers Robert demonstrates the feared weapon, actually it is a simple tool of braided leather and wooded handle, very lethal in the right or should I say wrong hands. Once again there’s that language misunderstanding, I personally believed that the phrase “Georgia Cracker," meant some white-bred southerner. Some believe the phrase originated as a term used to describe southern drovers who used the crack of the whip as a guiding sound for the herds of cattle, hogs or turkeys. After demonstrating his powers of thrust against air, Robert offered me a try at the handle of the bullwhip. It’s all in the delivery yet my inexperience only produced a small pop or two. One more time Roberts cracks open the air with a thunderous clap echoing against the mountainside before handing it over to Mrs. Highlander. Making a heart filled effort to meet Robert's outdoor classroom criteria, Mrs. Highlanders attempt to tame the airways resulted not in a crack or even a pop; it was more like a tweak. We decided to take the bullwhip away from her before she hurt herself or one of us brave bystanders, both Mrs. Highlander and I agreed that it was fun trying. Moving on we reached the Moore House; this authentic structure was built by Abner S. Moore and located in Clay County, North Carolina. The large elongated roof covers two rooms with a passageway between the rooms known as a “dog-trot." The purpose of the separated rooms was to keep the main living quarters cooler in the summer time by separating the heat from the kitchen. The house contains many artifacts and is open to guided tours only; peeking in through the windows can offer the personal tours a glimpse of its treasures. There was a bottle and woven basket collection along with tools and many handmade toys and other crafts. The sled hanging on the porch was used to work steep fields, it was safer than wagon wheels being drawn downward by gravity, plus it occasionally came in handy during the winter, which are fairly mild in this far southern mountain region. The large porch and “dog-trot" make this cabin a cool escape even during guided tours. Robert asked Mrs. Highlander if she would assist him in operating his rope-making machine, one of those early modern contraptions that braided single strands of twine into usable rope. We still have the rope but nothing special to tie anything up with; it just looks good amongst our other artifacts. It was at the Moore House that Robert took us outside to show us how “man-make fire…(grunt.)" Simple if you’re Robert, not so easy for the recreational and sandal shoe crowd. The Ingram Mule Barn; the barn was originally constructed near Warne, in Clay County North Carolina in the late 1800’s to early 1900’s by Nathaniel Ingram. 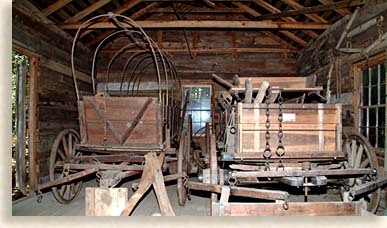 The barn was used to store feed and house animals, farming tools, animal harnessing and plowing equipment, many of these items are displayed at the barn, most of the tools are strictly man-powered. Split-Rail Fencing lines the roadway and trails here at Foxfire Museum and Heritage Center, separating some cabin compounds from others. Split-railing is a simple form of fence making that requires long logs, a sledgehammer and at least three splitting wedges. This type of fencing is still popular throughout the mountains with both old and new cabins; today their purpose is mostly as decorative dividers. Shooting Creek Cabin is an interesting feature. Built before the Civil War, this cabin was originally part of a larger cabin with a “dog-trot" in-between. What remains of the two-section cabin, is the kitchen quarters; the living quarters were used for construction of a farmhouse and barn. The kitchen section was used as a corn crib before Foxfire acquired the cabin. The Bell Gristmill is one of the more popular stops along the tour. No living quarters here, just enormous honed rocks and a large water wheel. Here Robert will show you just how to “put your nose to the grindstone," figuratively speaking. The millstone and wheel are operational but only for special occasions. The Bell Gristmill was built in the 1920’s, used for many years and then left unattended, hidden away in a low area at the end of the driveway on Arie Carpenters’ property. The “overshot" water wheel was perfect for steep mountainous terrain, the force of gravity driven water pressure provided more output than a typical valley river water wheel. Millers were essential to the community; some folks farmed, others worked as blacksmiths or storekeepers. Millers would often receive a portion of the grain farmer’s crop in payment, for their personal use or to use in trade for other goods or products. The Root Cellar is next to the gristmill. This wonderful traditionally designed root cellar would be a prized treasure for any mountain home whether old or new. Its small size makes it that much more charming. The partial burying of the structure into the hillside provides cool storage in the summer and above freezing storage in the winter. If you cultivated it, it had to be stored, if you canned it, it needed to be stored in a more climate-controlled state out of the natural light to keep it fresher longer. PRESERVING VEGETABLES…"Be sure that th’ signs are not in th’ bowels. When th’ moon is new is th’ best time to make kraut, pickle beans, corn, or green tomatoes. If th’ signs are in th’ bowels they will be slimy or soft and not fit to eat. Do not use iodized salt for pickling." The Smokehouse is located near by, still saturated in the smell of smoked hickory chips. Freshly slaughtered meat was either salt cured or smoked cured. Salt curing required plenty of salt, barrels or shelves and cool temperatures, where as smoked meats needed to be hung in the smokehouse right after slaughter where a small “smudge fire" would be maintained for two to six days, creating a brown crust that would protect the meat from insects while giving the after product a smoky taste. Personally, I always believed the taste was the primary reason for smoking meat. The benefit of a built in pesticide was news to me, and Mrs. Highlander. CURING AND SMOKING HOG…"Many, however, prefer the taste of smoked meat. Holes were poked in the middlin’ meat, white oak splits run through the holes, and the meat hung from the joist of the smokehouse. Ham and shoulders were done the same way." Then a fire was built inside the house. If it had a dirt floor, the fire could be built right in the floor. Otherwise, a wash pot was set in the middle of the room and a fire built in that. The fire itself was made of small green chips of hickory or oak, pieces of hickory bark, or even corncobs in some cases. Using this fuel, the smoke was kept billowing through the house for two to six days, or until the meat took on the brown crust that was desired both for its flavor, and for its ability to keep flies and insects out of the meat." 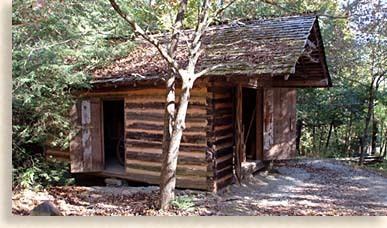 William Terrell Millican built the Carnesville House (cabin) in the early 1850’s. Enlisting in the Confederate Army in July 1861, William went on to become a Confederate Colonel in just 12-months. William never returned home to Carnesville House, wounded and captured in Virginia in 1862 he passed away. The original kitchen and dining room are missing from the Carnesville House; a small addition made on the house is conducive to the style of the overall structure and used as an office space for the Foxfire. Today, the Carnesville House is home to the Foxfire Archive, where complete records of the 40 plus years of interviews and photographs all gathered by Foxfire students. The Tiger House, as we enter, the ladies will be dazzled by colors and textures, but first a little structural history. 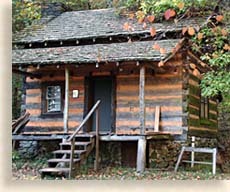 The cabin’s construction was begun prior to the Civil War by Jackie Keener and not completed until after Jackie served in the war. Mr. Keener married twice and raised 21 children in this house. Foxfire acquired the Tiger House as a donation from Fulton Lovell in 1974, reconstruction funds for the Tiger House were made available by the Georgia Commission for the National Bicentennial Celebration. Today the Tiger House is the active workshop of the Village Weaver, Sharon Grist who is an accomplished spinner, knitter and weaver. On display in the Tiger House are some of Sharon’s completed woven goods as well as works in progress. Mrs. Highlander and I enjoyed watching Sharon spin raw wool into yarn. We all take so for granted the clothes we wear, not taking any concern for the nearly magical art of their unique origins. WEAVING..."It was wonderful here for the first 10 or 15 years. But after the factories came in, they couldn't resist. The ones that wanted the money fell for the school and the factories and all of that, you know. I wonder if they are happy. I just don't know." 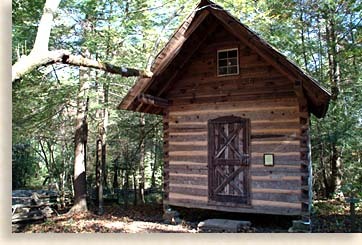 The Gott Cabin is a latter 20th century construction built by renowned log-smith and cabin builder from North Carolina, Peter Gott. This modest 12 by 12 foot structure was a cabin-building project involving Foxfire students using traditional tools and methods used in the Appalachian Mountains. The Gott Cabin harmonizes beautifully with the other pioneer structures at Foxfire Museum and Heritage Center. The modest two story cabin took 9 days to build under Peter Gott’s guidance and supervision. Logs were hand hewed as well as scraping and notching of the logs all done manually. Chink was added using a mixture of red clay and cement. Straw and horsehair added to the clay chinking would have been the original substance, the mixture Peter used was made for longevity. 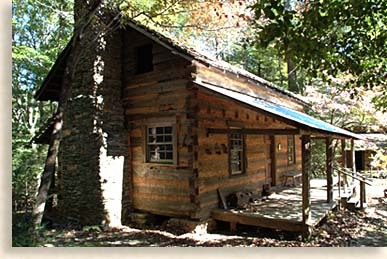 LOG CABIN BUILDING…"Choose the necessary number of logs; cut them six inches shorter than the width of the house. And with the broadaxe of adze, hew them off on all four sides until they are between four and six inches square. Again, you may choose the thickness you wish, but make sure that all the sleepers are the same thickness after hewing. Otherwise the floor may not be level." The Bungalow, built in 1935 by Fred Moffitt was built to be a barn. Mr. Moffitt cut the logs himself and with the aid of his horse dragged the logs out of the woods. The Bungalow today is surrounded by an open porch with a gray tin roof covering both the house and porch. 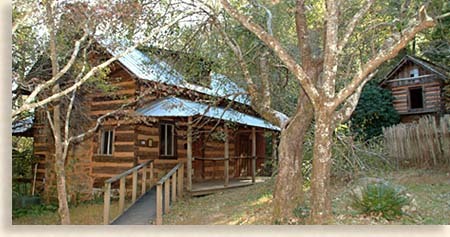 At the Foxfire Museum and Heritage Center are four other cabins, the Phillips, Warwoman, Camping and Woodworking Cabins. These cabins are not on the tour and are currently used for storage of artifacts and records. Mrs. Highlander and I saved the last part of our personally guided tour by Curator Robert Murray as our particular favorite, the Nature Trail and Chapel. Here along the nature trail Robert begins to display his greater depth as a botanist, no longer just the historian but now the woodland scientist. Plucked, pulled, broken or stripped Robert introduces us to a world of mystery, resin from the earth’s crust rising up below our feet, the natural resource of nature’s own. A family of natural foliage resides together, each plant life offering something unique for mankind’s consumption, cures or use as a textile. A natural wonderland with over 150 different plant and flower varieties are located here in the far southern reaches of the Appalachian’s, Foxfire Museum and Heritage Center. The natural mild climate here in Appalachia is ideal for this flourishing rainforest. Though abundant, the natural gardens here along the Nature Trail are fragile; visitors are required to stay on the path. The Nature Trail garden produces the year long with Holly, Dog Hobble, Mountain Laurel, Hemlock, Winter Green, Trillium, Bloodroot, Redbud, Fire Pinks, Columbine, Solomon’s Seal, Crested, Dwarf Iris, Coral Honeysuckle, Phlox, Galax, Flame Azalea, Jewel Weed, Black-Eyed Susan, Sweet Fern, Joe-Pye Weed, Wilder Aster, Witch Hazel and Christmas Fern. HOME REMEDIES…“Roast some poke roots by the fire. Scrape them clean with a knife and grind up. Make a poultice out of the powder and apply to the bottom of the foot. It will draw pain out of anywhere in the body." HOME REMEDIES… “It was a chancy business. If it hit, it hit; and if it missed, it missed." The Chapel House of the Word of God, appropriately located in the heart of Mother Nature’s Garden, a remnant of another God inspired Garden. As surprisingly authentic as it looks, the Chapel is not a historic structure but a reconstruction. Acquiring a prized possession like a family or community church proved unsuccessful for Foxfire due to mountain folk’s attachment to a structure as precious as their church. No building was more important to Appalachians than the church house which also acted as a school house and meeting house. Many preachers were called “circuit riders," making their rounds once every 4 to 6 weeks. Reading, writing and arithmetic were taught under the church roof as the only essentials to formal education, crafts and trades were learned from family, kinfolk or if you were fortunate enough, through an apprenticeship. Painstakingly constructed from logs salvaged from the Hunter barn, the Chapel was designed to resemble a church located near Waynesville, North Carolina, even the benches were provided by the Foxfire students using hand made tools. The Chapel House is one of the most photographed structures at the Foxfire Museum and Heritage Center, the atmosphere both inside and out of the Chapel, has that settling feeling of peace, a door of antiquity to inner reflection. Some fascinating documents are framed and on display here at the Chapel, a large portable wooden cross stands leaning against the back wall, an icon of faith possibly carried in ritual services as symbol of our savior’s sacrifice. FAITH…"I think the church is the greatest institution on earth. To be a true Christian, we have to put Christ first in our life. If it wasn’t for the church today, this world wouldn’t last and hour." FAITH…"Raise up a child in the way that it should go, and when it is old, it will not depart from it. You raise your child up. We have to start when that youngun' is little." FAITH…"The church service was in the schoolhouse, Course, they didn’t have a church. Preacher preached a lot about hell. He didn’t have an education. He may have finished the seventh grade, but he knew a lot about the Bible ‘cause that’s the only book he read." Here amongst the church benches our guide Robert, Mrs. Highlander and myself sat and reminisced of our day’s adventure, sharing our experience at the outdoor museum. As a child of the 50’s, 60’s, 70’s, I shared with Robert my summer and holiday visits with my mother’s family in rural Kentucky. My grandparents were very poor with 10 children to support. Much of what I experience here at Foxfire Museum, reminded me of those early days, simple times and the light hearted joy my kinfolk shared with me growing up. My grandmother had a giant iron cauldron cooking pot over an open fire, which she used for laundry, soap making and other such things. My grandfather used large metal drums to do his hog scalding. No indoor plumbing, they got their water from a well. Their’s was a small four room cabin that magically provided space for the gathering of all the children and grandchildren, everyone finding a place to squeeze into for a good nights sleep. There were tobacco fields and gardens, mules for pulling the wagon or saddle riding. I saw livestock bred and slaughtered; stock that stood in the field one minute was on the grill by dusk. Simple times that were so much fun it’s as though the kinfolk didn’t know times were hard. Robert walked us back to the Gate House continuing our guide along the way. Mrs. Highlander and I were very impressed with Robert. His knowledge base seemed bottomless, his take on life then and now was keenly observant. As we parted company with Curator Robert Murray, he warmly welcomed us back anytime. Later after arriving back at the Blue Ridge Highlander studio. I felt compelled to jot down a few notes about our day’s experience especially our personal time with Robert and witnessing so much of the accomplishments the students of Foxfire have made, making it their personal responsibility to preserve their heritage. These students, their teachers and leaders deserve to be commended for their tireless work and dedication. I found Robert to be…A common sense philosopher with a positive natural outlook on life, recognizing that with all our present technology and advancement we’re not growing smarter we're growing weaker, forsaking our kinship with the past as the true stepping stones of life and history’s journey. We have dwelt amongst Giants in and throughout the 20th century, who brought more light and awareness into the world, but we are forsaking the riches of life itself with outer dependence on material goods, forsaking good health and peace of mind. Our roots have been torn away and have been cast at the mercy of the winds because we have forgotten our relationship or fellowship with our natural surroundings. Our faith has been replaced by science giving thought to a new view of who and what we are. As a result, we have all but lost sight of our ultimate goal by losing contact with the past. Creation put us on the path to faith in the unseen where as evolution has taken us to an uncertain consequence. Exposing today’s children to the natural things of life will enrich their personal lives, whether they seem to be paying attention or not. Our children were meant to grow from wise examples. Instead, too many are immersed in their own inexperienced social order of priorities. Sold on a bill of goods about material passions wrapped in warped lyrics and lost in the disposable wardrobes of a constant changing market driven by profits. Did the Highlander and Robert get off on a personal philosophical rant during our guided tour? Yes we did. And to what purpose? Lest we not Forget!